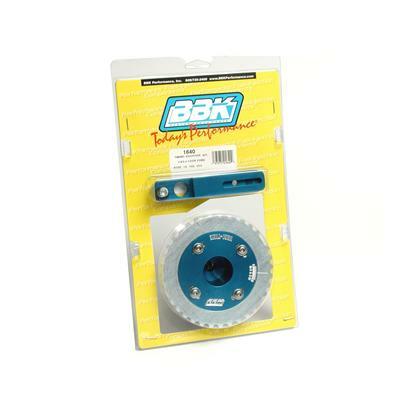 This BBK Timing Adjuster Will Allow for easy + or – 10 Degrees advance or retard timing. Simple to install, Plus It’s a great looking CNC machined component. Recommended for all Nitrous and Supercharged applications.